There is something to be said about a 3am wake-up call and that’s the fact that they should never happen. Alas, given that it was our only flight out to the City of Dreams (an homage to Sigmund Freud), the Delegates and Directors mentally prepared themselves for the oh-so-familiar shrill of the Apple alarm clock. We can testify that while it was easy enough to get to the airport, our eyelids did feel like they were being weighed down by bricks shortly thereafter. Nonetheless, we were welcomed to a Vienna that sat at a balmy 7-degrees – we didn’t even need our scarves and gloves! After engorging ourselves on a not-so-typical brunch (who knew the Viennese were so fond of warmed brownies with vanilla ice cream or cheesecake at 10am? ), the Delegation explored the Museum Quartier, the Nasch Food Market, and ended up at St. Stephen’s Cathedral. 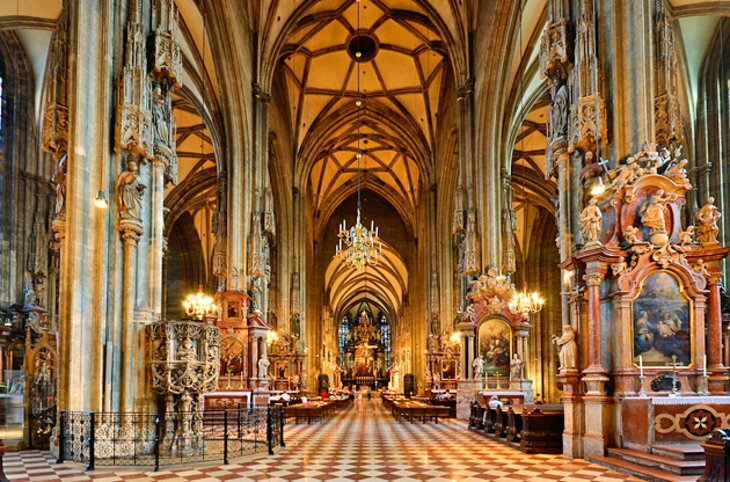 With its multi-coloured tile roof, the majestic Cathedral stood above the rest of the buildings in Vienna. An interesting fact we learnt about the iconic monument was that it contained catacombs filled with the bones of plague victims! The next day was filled with free time for the Delegation. We split into two: one group went to Schonbrunn Palace and Gardens while the other group went to the nearby Schonbrunn Zoo – the oldest continually-operating zoo in the world! Schonbrunn Palace was constructed to house the Habsburg rulers during the summer, while the nearby Zoo functioned as the Imperial menagerie. 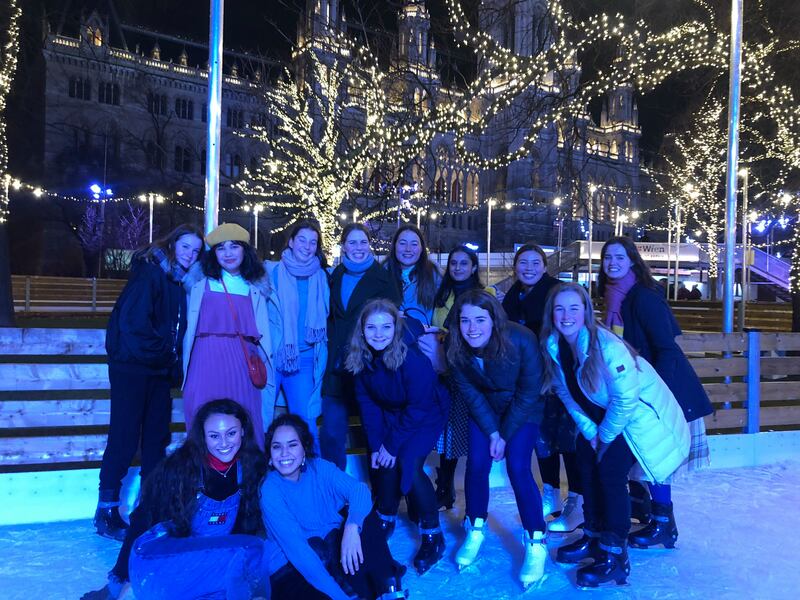 Once the day drew to a close, the Delegation decided to take to ice skating in front of the beautiful Vienna City Hall to truly experience the magic of the city. Our last day in Vienna had, once again, arrived far too quickly. We had a jam-packed day meeting with the New Zealand Embassy and another organisation associated with Sustainable Development Goal 11: Sustainable Cities and Communities – Smart City Wien. 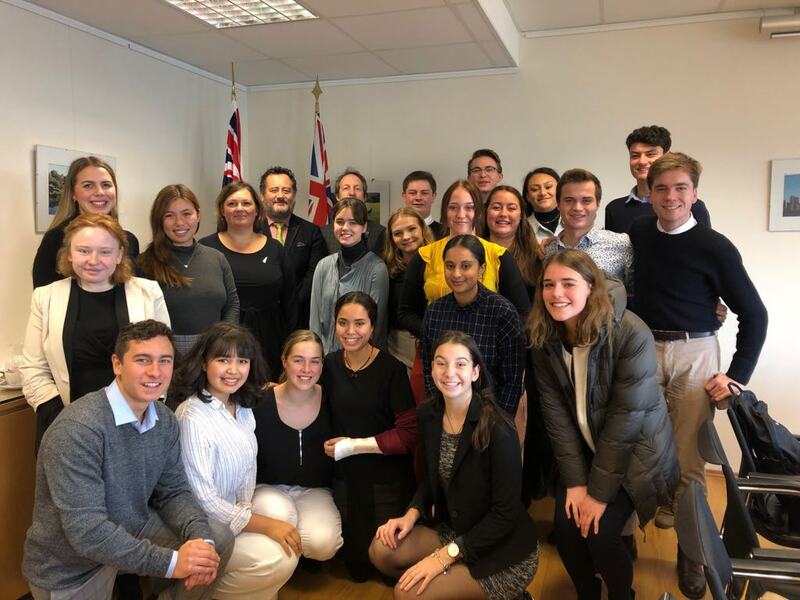 The Delegates enjoyed hearing about the NZ Embassy’s relationship with other organisations like The Comprehensive Nuclear-Test-Ban Treaty Organization and The United Nations Office on Drugs and Crime. The discussion mainly revolved around the viability of nuclear power as a sustainable energy source, incentivising governments to prevent human trafficking offences, and general trade between New Zealand and the European Union. 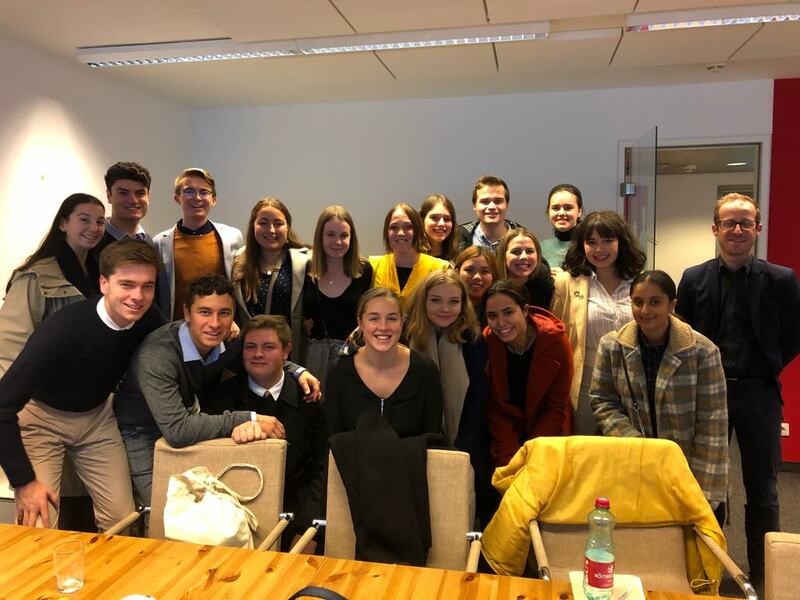 After a hearty lunch, we moved to Smart City Wien’s office, where the speaker talked about Vienna’s consistent role as the world’s most liveable city. We learnt that the transport network and almost 40% of the apartments in the city were owned by the City Council, enabling citizens to move from place to place and live there at a fraction of the cost of other cities. For example, while an annual public transport pass costs €365 in Vienna (incl. buses, trams, and trains), the same would cost almost €2000 in London. Needless to say, there were many lessons that New Zealand could take away! It seems appropriate at this point to say ‘so long, farewell, auf wiedersehen, goodbye’ to Vienna. We are sadly onto the last leg of our journey and it is crazy to think about how quickly the time has flown. But we’ll see you in Rome before we bid you adieu!